Will you look good bald? The only reason you’d be asking this question is if you’ve started experiencing hair loss. 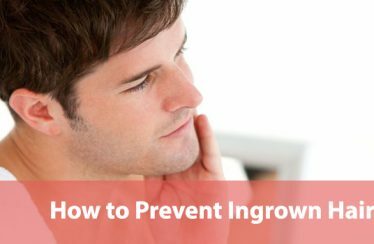 It doesn’t matter if you’re Type III on the Norwood Scale or Type VI, the fact that you’ve noticed these signs of hair loss means that others started noticing them way before you. After all, most men tend to subconsciously ignore signs of balding because it is so emotionally wrenching. If you’re losing hair due to male pattern baldness, it will continue to get worse and all you’ll be able to do from this point on is to slow down the recession of your hairline and the appearance of your scalp. The point is that since you can’t really stop your scalp from coming into the limelight, wouldn’t it be better if you own this problem and make it work for you instead? Yes, we’re counseling for shaving it all off! You’ve been considering it already anyway and the only thing stopping you is that you don’t know if you’ll look good bald. That is precisely what we’re here to help you with. Certain men look awesome with a clean shaven head. Then, there are others who look absolutely atrocious. However, most men fall somewhere in the middle i.e. they can look good bald if they worked towards it. How much work you’ll have to put in depends on a wide variety of things. The following guide will tell you if you’ll look good bald or not. Even if you find that you won’t look good bald, don’t worry, we’ll tell you what you can do to fix it. Here’s a navigation panel that should make it easy for you to skip to various sections of this guide. How to Decide If You’ll Look Good Bald? What’s Your Head Shape & Size? Is Your Skull Unblemished & Smooth? How to Look Good Bald – Tips & Tricks? How Should You Shave Your Head? The following section will help you figure out whether you’ll look good bald or not. More importantly, you’ll learn which factors will determine whether bald is a good look for you or not. Once you know which factors have an impact, though, we strongly recommend deciding the fate of your scalp immediately. Indecision will not help you in any setting – professional or romantic. Being half bald is the worst look for any individual in the world. Make a decision. If you choose to go bald, work towards improving your appearance even if you’re genetically blessed by the benign hirsute in the sky. If you choose to not go bald, then start some form of hair loss or male pattern baldness treatment so that people don’t think you’re trying to hang on to your youth. Make a decision and own it. To decide, consider the following. Google “hottest bald men” and you’ll find that 9 out of 10 handsome bald men have muscles. At the very least, the majority of them will have toned bodies. The reason for this is that bald men are expected to be “alpha males” which also means brute strength. The closer you’re to being ripped the more masculine and put-together you’ll seem. Obese, overweight, or even just men with flab are never considered to be attractive. In fact, they don’t even inspire any kind of confidence, even in the professional setup. In simple terms, you’ll only look good bald if you’re fit. In fact, if you’ve got muscles you can ignore all other considerations and every other factor will become secondary. A buff bald guy will always have more of an impact than a skinny bald guy. Not only that, the buff bald dude will probably do better than most skinny guys with a head full of hair in most situations. If you’re balding already, it is absolutely critical that you at least lose all the jiggle on your body. And if you want to have an impact, you’ll have to invest some time into your body and become muscular. Going to the gym and working with some weights is in your control. The shape and size of your head are not. However, your head’s shape and size will play a big role in how you’ll look after you shave off all your hairs. Generally speaking, extreme head shapes and sizes look weird without hair. The reason is that our hair balances the appearance of our entire head. It can seemingly reduce the length of especially oval, long, and egghead heads. Similarly, it can add length to particularly squat or rectangular heads. However, you take away that balancing element and all you’ll be left with is asymmetry. Evolutionarily speaking, studies have found that human beings consider symmetry important when it comes to faces and heads. In fact, there are multiple proofs of this such as this study from the University of California and this chapter in the ‘Oxford Handbook of Evolutionary Psychology’. The symmetry not only matters in terms of your face but also your head and the rest of your body. If your head is too big or too small, it is likely that you won’t look good bald without putting in some serious effort. The only way around this problem of asymmetry is to make use of your facial hair but we’ll get to that point in the solutions sections of this guide. We went from something in your control and difficult to something completely out of your control and hence impossible. Now, we’ll talk about something both, within your reach and easy to achieve – your skin tone. While there are men without tan who may be able to pull of the bald look, the majority of handsome bald men tend to be tanned. In fact, you’ll find that black men tend to rock the bald look even when other factors are not exactly in their favor. The reason for this is that darker skin conceals flaws. Whether it’s blemishes or abnormalities, darker skin covers them up quite well. The fairer you are the harder you’ll have to work to look good bald. Its not impossible, though. You just have to look at Billy Zane and Bruce Willis as proof. Getting a tan is easy too. Spend more time under the sun. If you can’t do that, then go to a tanning parlor or use tanning products and you’re all set. Everybody doesn’t have the smooth round head that you see on the hottest of bald men. Any blemishes, marks, peaks, valleys, dents, and bumps you may have on your head will have an impact on how you look bald. Now, you may think that a good tan will cover those inconsistencies and to a certain extent you’ll be right. However, a tan can only do so much. So, what do you do if you suspect that you have such inconsistencies? First, you get a buzzcut and confirm whether you have them or not. Then, depending on where these scalp imperfections are placed, you’ll have to take a call on whether going bald is an option for you or not. For example, if you have a bump right on top that makes you look like a stunted unicorn, then you’re better off sticking to the buzzcut or even getting hair treatment. On the other hand, if the imperfection is at the base of your neck, you can probably pull off the bald look. It is a judgement call that only you or your loved one can make. We should note that a buzzcutis an excellent way of trying out how you’ll look bald. It comes close enough to being bald for you get a good idea of how you’ll look. Therefore, we recommend getting a buzzcut anyway before making your decision on going bald or not. Even before you get a buzzcut, though, you can get the help of technology to figure out how you’ll look bald. We’re talking about using photoshop or one of those social media apps that allow you to play around with photos. The idea is to get your photo and superimpose a bald scalp on it to see how you look. You should be careful of this option, however, because it requires you have the appropriate photo editing skills. If you don’t have such skills, you could look silly in the edited photo and end up making the wrong decision even though you would’ve rocked being bald in real life. If you’re experiencing hair loss, going bald will soon become the only real option available to you if it hasn’t already. The only reason you shouldn’t go bald is that you think you’ll look ridiculous without hair. Even if you think you’ll look just okay, it will be worth going bald because male pattern baldness doesn’t look good on anyone. You should know that most men are able to make the bald look for work for them. The trick is to not just focus on your scalp, your hair, and your head, but instead the complete package. Rocking the bald look means rocking a certain persona and creating a persona is about breaking it down to smaller components. The following tips and tricks focus on such individual components. If you can pay attention to all of them, you can be the next bald rockstar. This one’s simple and we’ve already touched on it earlier. You can choose to not shave off all your hair and leave behind a stubble. The best thing about leaving a stubble on your head is how low maintenance it is. While you’ll have to cut your hairs more often than if you were bald, the actual process is very simple. 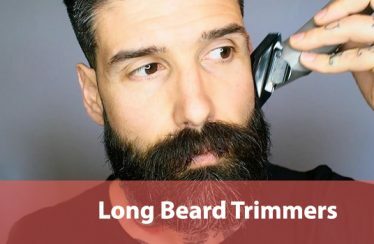 You’ll just need to use an electric clipper or razor and won’t even need any specific technique to make it work. You’ll also be leaving behind some hairs on your scalp to hide any imperfections. The problem with the stubble look is that gradually you’ll lose these hairs too. It is only a temporary solution and you’ll have to go bald sooner or later. If you don’t, you’ll soon start developing bald patches with no hair surrounded by stubble. That’s not a great look either. Whatever you do, don’t try to pull off a combover. That look never works and only invites pity or a smirk from others. If you’re losing hair up top, a beard or a mustache will be your best friend. Beards and mustaches look gorgeous on bald men, especially if they have a strong chin and jawline. We can’t exactly tell you why but we think it is because beards and mustaches tend to reduce the amount of skin visible above your neck. You don’t need to compensate for all the lost hair with a biker gang beard, however. What you need is a sleek, stylish beard or mustache. You’ll also have to make sure that it is well-groomed all the time. The beard can’t have hairs growing in all angles because that will only make you look frazzled. Trim it regularly and pay attention to detailing. Perhaps, investing in a beard trimmer or grooming kit wouldn’t be all that bad an idea. Bald men have to particularly pay attention to grooming their faces and heads because the absence of hair up top brings everything else into focus. If you get pimples, they’ll look twice as angry. Blackheads will be twice as dark. Freckles will seem exponentially more than their actual number too. Even cuts and nicks will stand out more. You’ll have to pay some real attention to your face and scalp. You’ll either have to learn some new skills about head and face maintenance or visit the salon regularly like the ladies. Looking good bald while being overweight is virtually impossible. If there was one thing you could do amongst all these tips and tricks, we would say join the gym. You absolutely need to lose extra fat, if you want to look good bald. There’s no alternative. If you can get muscles, then we recommend that even more wholeheartedly. Along with working out or running miles every day, we also suggest paying attention to your diet. You can’t lose weight and build muscle without dietary control. Dry skin looks ugly as it is. What’s worse is that if you don’t moisturize your scalp, you’ll be in real danger of having dandruff while being bald. Can you imagine what a bald man with dandruff would look like to others? It’s the stuff of nightmares. Its easy to avoid this little trap. All you need to do is moisturize your face and scalp every day. If you’re the forgetful kind, put the bottle where you won’t forget. Put it next to your keys. Put it on top of the can. Put it above the steering wheel of your car. Whatever you do, don’t forget to moisturize if you’re going bald. Your hair used to protect you from the sun. Now that you’re bald, you’ve lost that protection. You need to replace it. It is not only important to look good bald but also healthy. Invest in a good sunscreen lotion and make sure you use it every time you go out. A nifty trick is to invest in a SPF rated moisturizing lotion. You get two birds with one stone that way. With the loss of your hair, you’ve also lost the option of dressing without a plan. You can no longer pull off the rumpled, out of bed look. Bald men just don’t look good if they’re not dressed well. Dressing well means that you can’t wear loose, flimsy stuff anymore. You can’t use that college sweatshirt or hoodie, even if you’re going to the gym. You have to compensate for all that lost hair and this is the price. Your hair used to frame your head. Without that frame, you’ll look weirdly naked to people unless you find a way to frame your head. There are various ways you can do this. The idea is to reduce the amount of skin visible above your neck. We recommend focusing heavily on collared shirts, V-neck t-shirts, and turtlenecks. You can try jackets with collars like a pea coat too. These will frame your head from below. You can also accessorize to frame your head from the top. Plain glasses, shades, hats, and caps can all help with that framing task. You can even give cravats a good go if that’s more down your alley. Since we recommend going bald to most of you, we feel that we should advise you on how you should go about shaving your head. You probably think that it is like shaving your face which is something you’ve been doing for a while now. You’re not completely wrong. It is quite similar but there are differences too, especially since your head isn’t really used to the razor. Here is some advice. Do you remember how it was when you first shaved? True, it was exciting but your face also felt slightly irritated afterwards, right? Most boys get so caught up in their first shave that they don’t really bother to prep their face for the task. You don’t need to make this mistake with your scalp. The best way to prep your scalp for that first glorious shave is to take a long, warm shower. You want to take a shower because this will relax your hair follicles and make your hairs easier to shave. Consider carefully what you’ll use to shave your hair. The easiest and the safest option is a combination of the electric clipper and razor. The clipper will reduce the length of your hair and make it possible for you to use the razor. 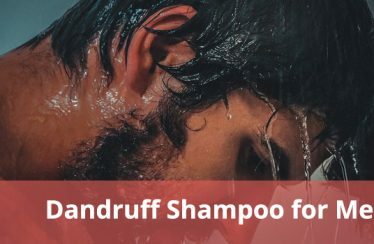 This is the best option, especially if you want to leave a stubble on your scalp. It is also the easiest because your scalp won’t get irritated and there isn’t a lot of skill involved. Leaving a stubble becomes a good trial to see how you’ll look with no hair and you’ll save a lot of time too. Even if you want a hairless head, you’ll have to use a hair clipper. Once your hair length is manageable you can shave it off. For that, you’ll have to choose between the cartridge razor, the safety razor, and the straight razor. A cartridge razor will be the easiest of the three simply because you are used to it. 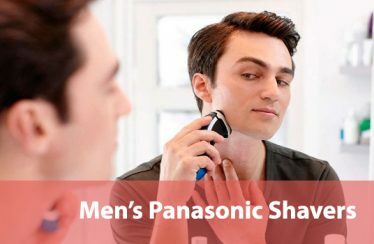 If you’re like most men, you’ve been using cartridge razors to shave your facial hair. Getting a shower first is critical here to relax your hair follicles. You can also choose to shave in the shower, if you wish. 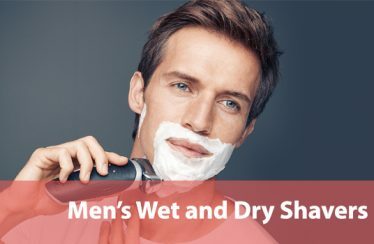 We also recommend using a shaving brush to create lather. Use round, circular motions to lifts up the hair and make it easier to shave. In fact, you should be using the circular motion while shaving your face too. 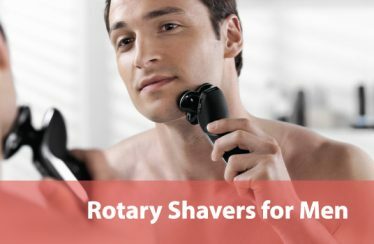 The safety razor is not that different from the cartridge razor. The difference is that safety razors are better for people with extra-sensitive skin. Compared to cartridge razors, safety razors don’t irritate the skin as much on account of having only a single blade as opposed to three. Fewer blades means fewer contact with the scalp which minimizes irritation. Straight razors are the easiest to maneuver around your head which makes shaving the back of your head easier. The problem is that you need to know how to use them to avail this benefit. In fact, if you don’t know how to use them, they can be dangerous. Therefore, unless you have experience using straight razors, we recommend sticking to either cartridge or safety razors. While shaving your head, you should try everything in your power to go with the grain. This can be difficult, especially while doing the back of the head. However, it is important to minimize going against the grain because that is how you’ll avoid nicks, cuts, and post shave irritation. You should also make sure to pull the scalp around the area you’re shaving for the same reasons. Once you’re done with the shave, always follow up with a soothing lotion, cream, or oil. This will help reduce the irritation and dryness both. A dry bald head never looks good. Also, believe it or not, dandruff is a real problem for bald guys.